Then we see a dip in price. Then price continues to rise. 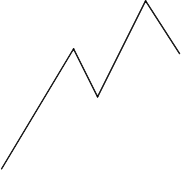 This is the normal pattern for an uptrend. 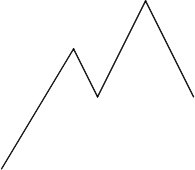 A nice series of rising peaks and troughs is formed as the trend continues. Then rather than forming a new high the price continues to decline past the previous high and to roughly the same price as the preceding low. 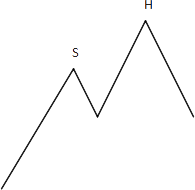 We now have the beginnings of a head and shoulders formation the peak on the left is the first shoulder(S) and the highest peak is the head (H). 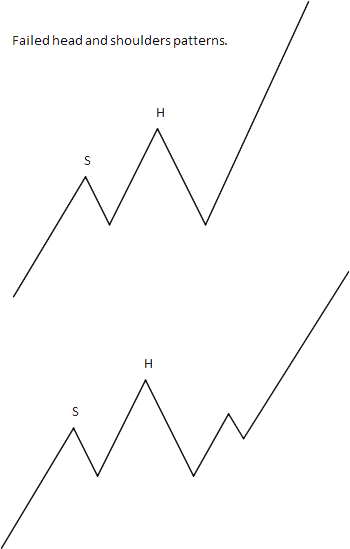 Then if price rises again to roughly the same level as the left shoulder and then continues to fall we have a full head and shoulders pattern about to emerge. 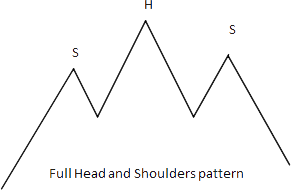 It is only when price falls below the low after the first shoulder that we can confirm a full head and shoulders pattern has occurred. If the price should continue to rise or drop and then continue to rise then we have a failed head and shoulders pattern in place.